How to apply settings from some video to a lot of other videos? How to make a powerful template for your videos? The key option to save a lot of time is the possibility to Apply settings from another video, so you can use a template for every new video during upload. By combining these three options - Pre & Post roll videos, Apply settings from another video and Mass Import, you can save a lot of time. For better organization, you can add your videos to groups (folders). 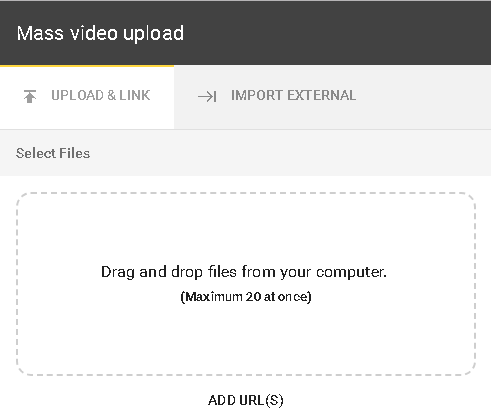 Upload a small video that you will use as a template and add it to the folder (for example - Templates). It is irrelevant which video you will upload, since we will only apply it's settings to some other videos. Add Pre & Post roll videos (for sponsors). A lot of additional options are available. Make any other preferred settings for player controls and style. 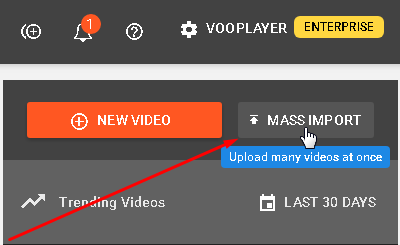 Use the MASS IMPORT option to upload a lot of videos simultaneously. 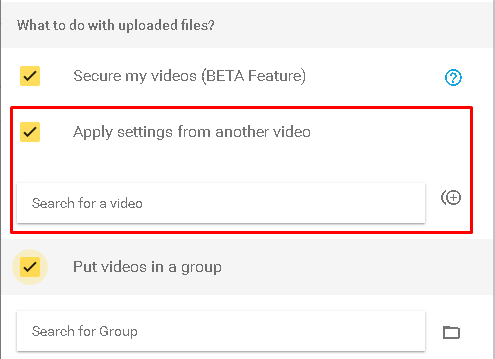 During upload do not forget to organize your videos into groups. Check the option "Apply settings from another video" if you wish to use the template. With the practical option Clone your video, you can make a copy of the template and then configure it according to your needs to make a new similar template.